Light + Love : That Perfect Saturday. I was bone tired from lack of sleep the night before. And then I ended up smelling like garbage that morning after a visit to the dumpsite. But it didn't matter. For me, it was a perfect day. It was perfect because I got to see Tita Wi, Tito Jun, Fr. Sunny, Chelo, and Adrian again! You know how there are people you just love? You cannot think of any reason why you love them. You just do. That's how I feel for them. I love them. No rhyme or reason. I've been waiting for this day since they told me they were coming home from the US (Tita Wi, Tito Jun, and Fr Sunny) and the UK (Chelo and Adrian). I got a long tight hug from both Tita Wi and Fr. Sunny when I arrived at the meeting area that Saturday morning. I was so happy to see them! We really didn't have enough time to catch up because we were busy at Helping Land and Ulingan. We had small conversations though, in between distributing food and toys. Tita Wi and Tito Jun also spent time with me just before they flew back to the US. 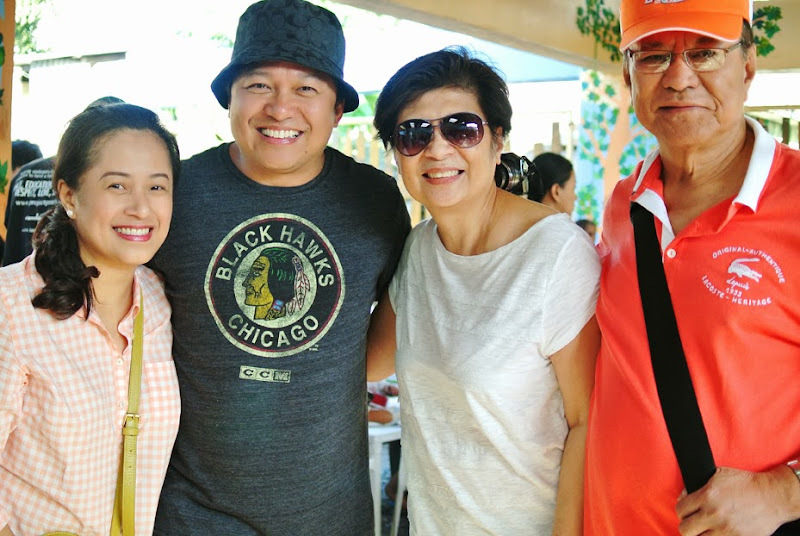 That afternoon in MOA, Tita Wi shared her thoughts about the outreach. She also shared her story with me. It was such a privilege. Her gentleness and generosity of spirit is inspiring. Just to be around her is very comforting. 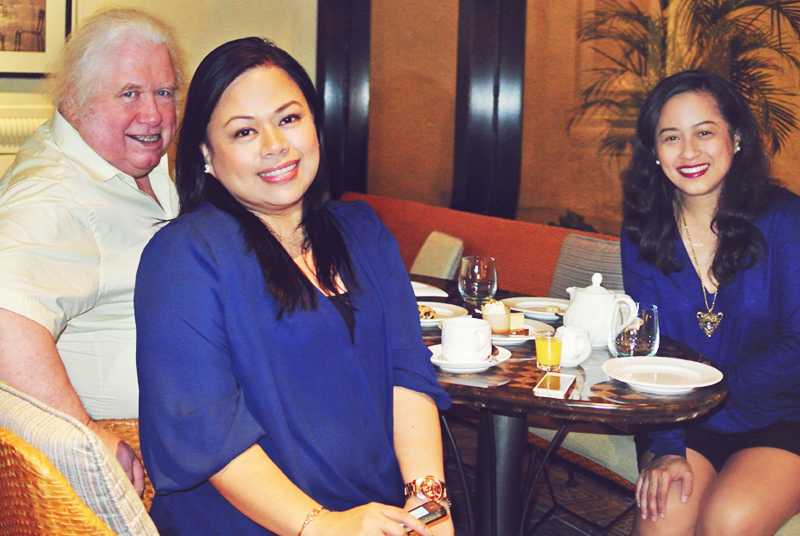 That same day, looking haggard and walay panudlay, I met up with Chelo and Adrian at Sofitel. We talked and laughed the entire night. It's always wonderful to see her (it's a bonus when Adrian is around). I think Chelo and I must've been sisters or bestfriends or business partners (haha) in the past life. Chelo just gets me. I can say anything silly and I know I won't be judged. I choose, do, or say things and I don't have to explain anything to her. Even before I finish my sentences, I know she knows what I am trying to say. She even understands the things I don't say. And I love that she can tell me anything. She's one of the most supportive people I know. She cheers me on and supports my endeavors. We are both such stage-friends towards each other. Haha. I am already looking forward to see her again the next time she visits. There's so many things to talk about and so many wonderful things to do together. It was such a blessed day and I felt nothing but gratitude and joy. I feel so honoured and privileged to have had that time with you..and the next morning,too. thank you for loving me. One of life's greatest blessings, indeed. PS my family loves you,too. so wonderful to see you again, Ai! thank you for joining us in the outreach program and for making the time to meet in MOA. both precious times! love you, too! hugs! I am so looking forward to meeting Chelo! I'll be visiting London soon and she plans to take a day off to meet with me. I am very humbled. I hope she will find it worth her while. It will be worthwhile for me, for sure! It is a great day if you get to see wonderful friends you rarely see in one day!